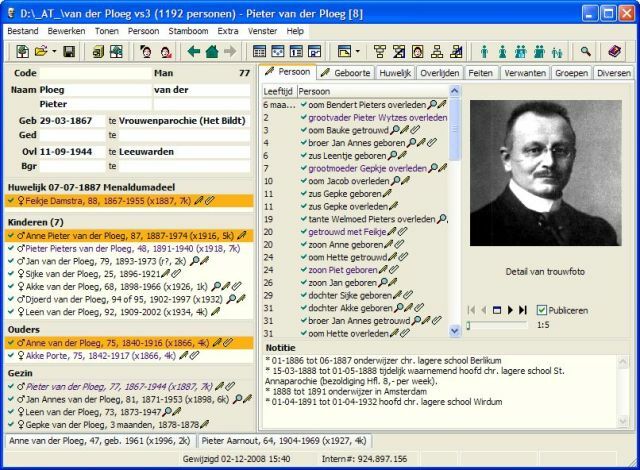 Aldfaer is a 100% freeware genealogy software which has been and is being developed by a group of Dutch volonteers. The program has been developed in the Dutch language, but it is possible to operate the program in other languages. It is also possible to generate text output in other languages. Use of these possibilities is completely for your own risk and, for practical reasons such as time and manpower, cannot be supported by the development team.